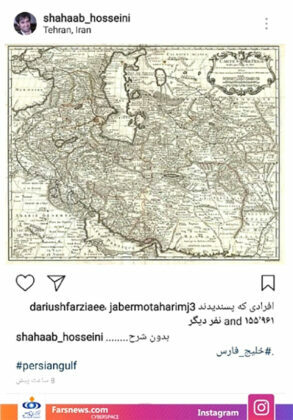 Iranian education minister has called on American teachers and educators to work more on teaching history and geography to their students amid the geographical and historical misinformation disseminated by US President Trump. 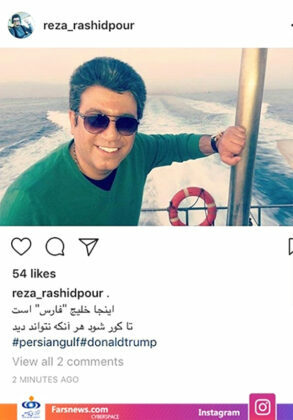 US President Donald Trump’ anti-Iran speech has sparked harsh criticisms from the Iranian people from all walks of life including political figures and cultural and sport celebrities. Following Trump’s Friday speech, Iran’s Education Minister Seyyed Mohammad Bat’haei said in a tweet that American teachers should spend more time on teaching history and geography. “Mr. Trump we can realize your feeling. 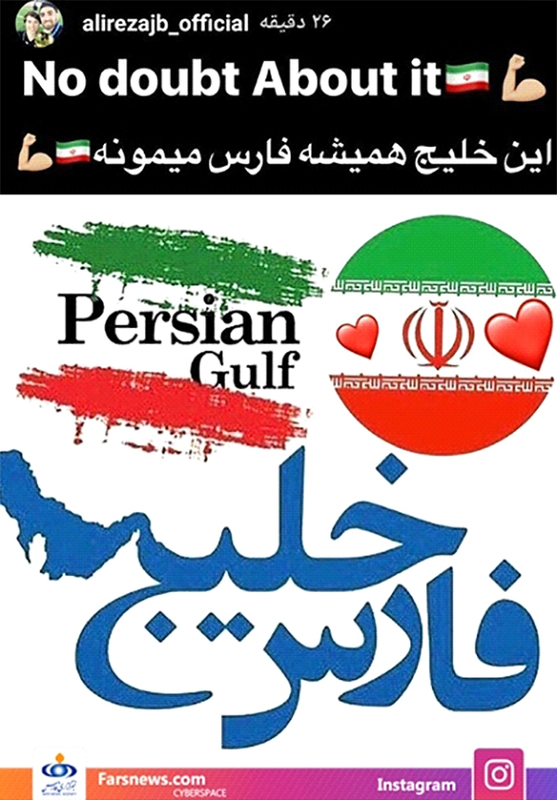 Sometimes a mouse cries under the guise of a cat,” he added in another tweet, using the hashtag #NeverTrustUSA. 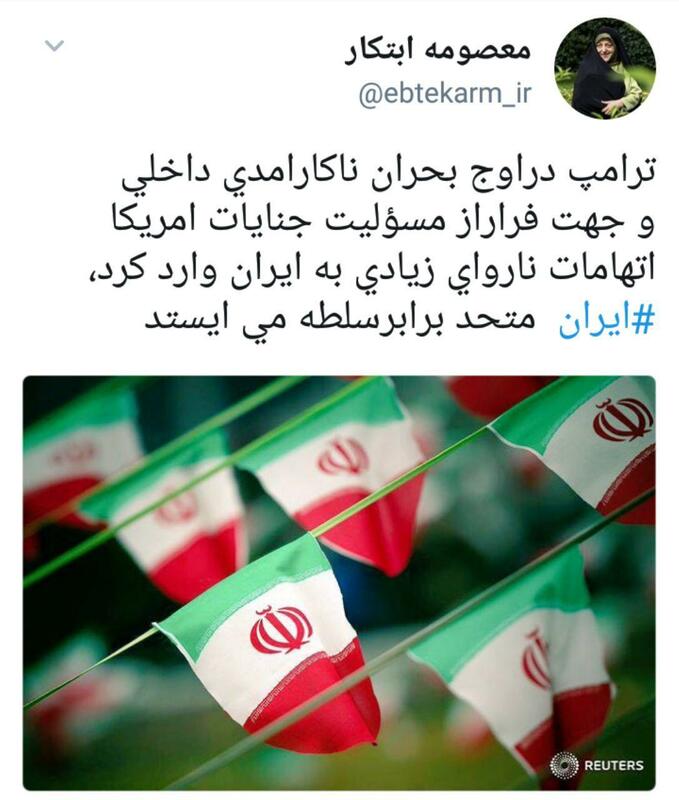 Head of the reformists’ faction in Iran’s Parliament, Mohammad Reza Aref, said the Islamic Republic will give a smart response to any possible measure by the US towards the nuclear deal. 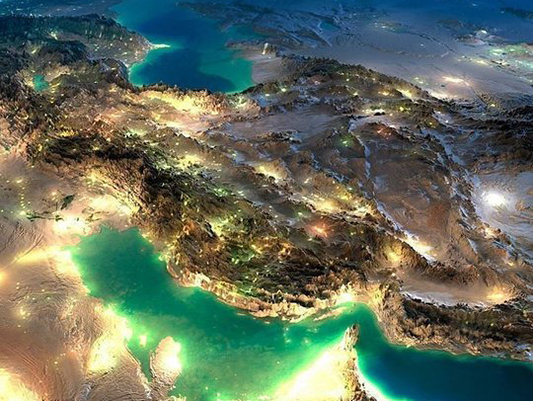 Chairman of the Parliament’s National Security and Foreign Policy Commission, Alaeddin Boroujerdi, said violations of the Joint Comprehensive Plan of Action (JCPOA) by the US reveals to the world how unreliable the US is. 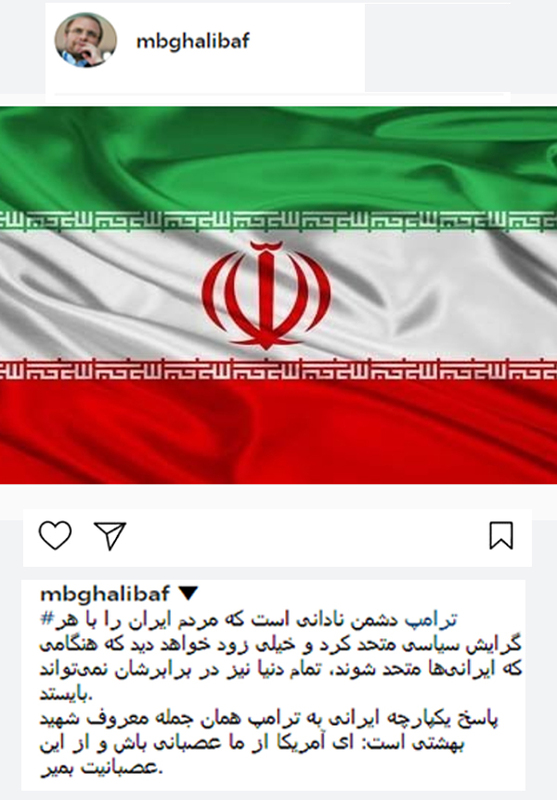 The Minister of Health and Medical Education, Seyyed Hassan Qazizadeh Hashemi, said national unity and solidarity is the best response to Trump’s foolish statements. 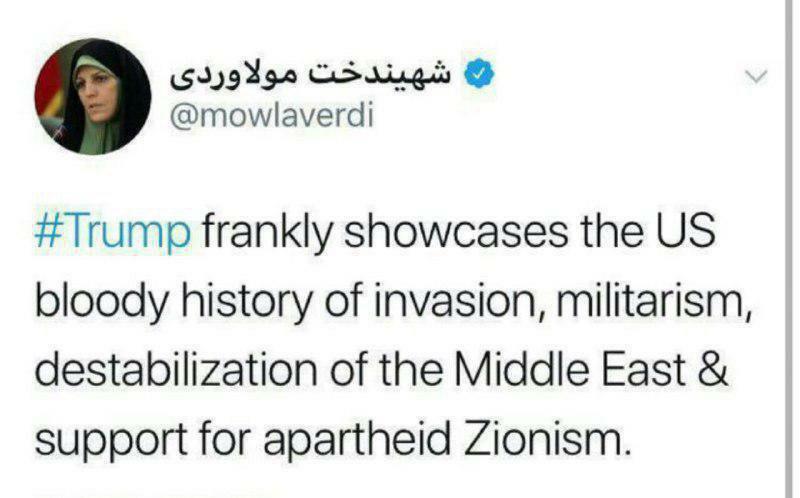 Iran’s ambassador to London Hamid Baeidinejad, who was a member of Iran’s nuclear negotiating team, said Trump made himself the subject of hatred across the world particularly the Iranians from all walks of life. 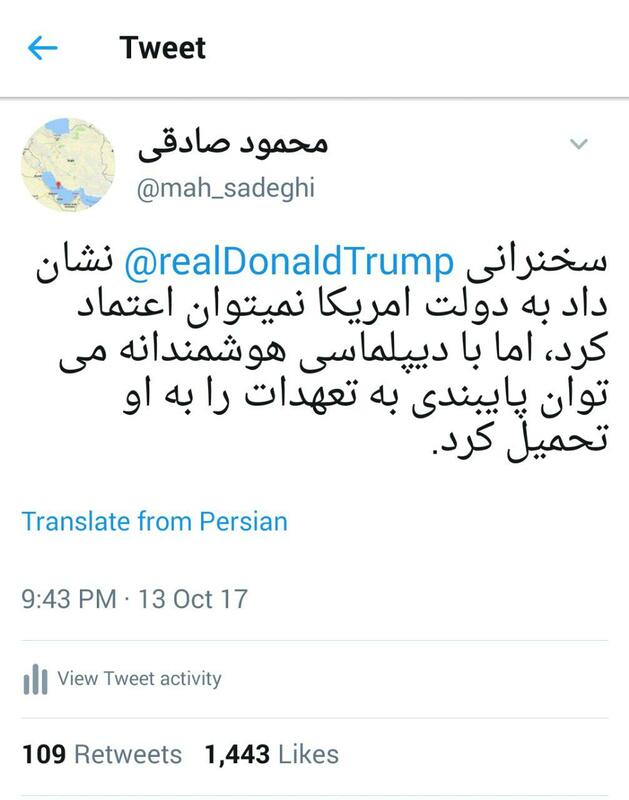 Deputy Chief of Staff of the Iranian Armed Forces Brigadier General Massoud Jazayeri also reacted to Trump’s statements and said the Islamic Revolution Guards Corps (IRGC) will interrupt the US officials’ dirty dreams. 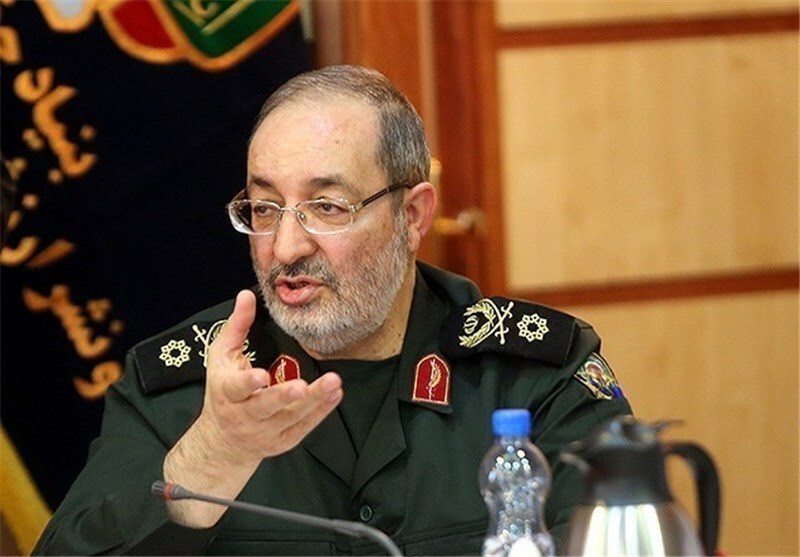 The spokesperson for Iran’s Armed Forces also said promotion of Iran’s defensive capabilities to fight the corrupt regime of the US will keep going on. 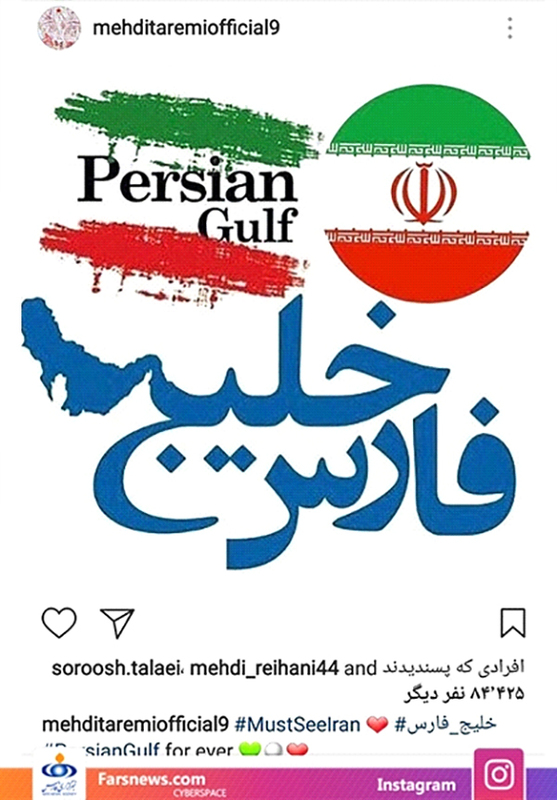 Iranian reformist lawmaker Mahmoud Sadeqi dismissed Trump’s statements as baseless and protested him for using the fake phrase of Arabian Gulf to refer to the Persian Gulf. 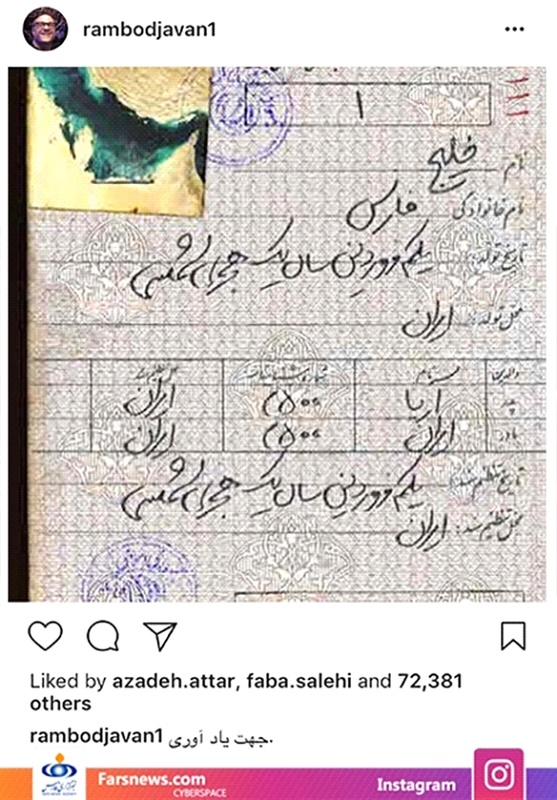 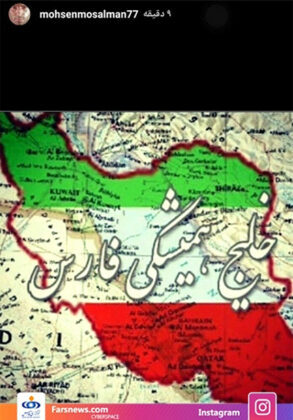 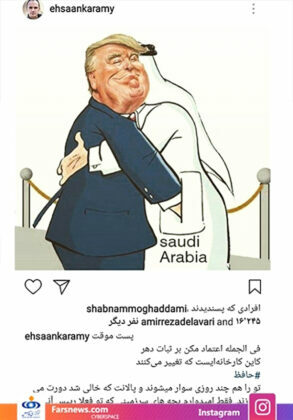 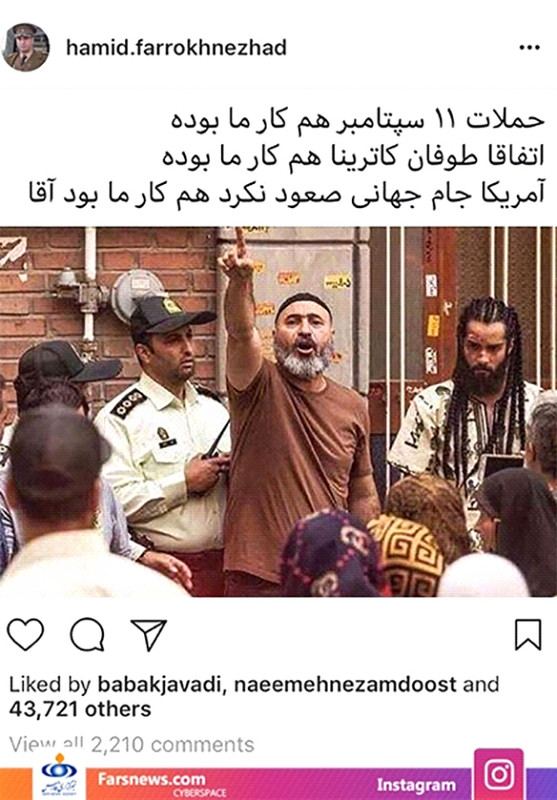 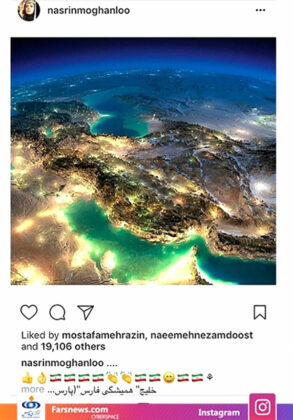 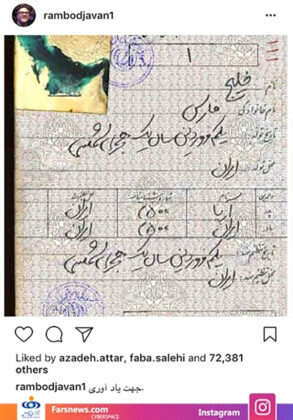 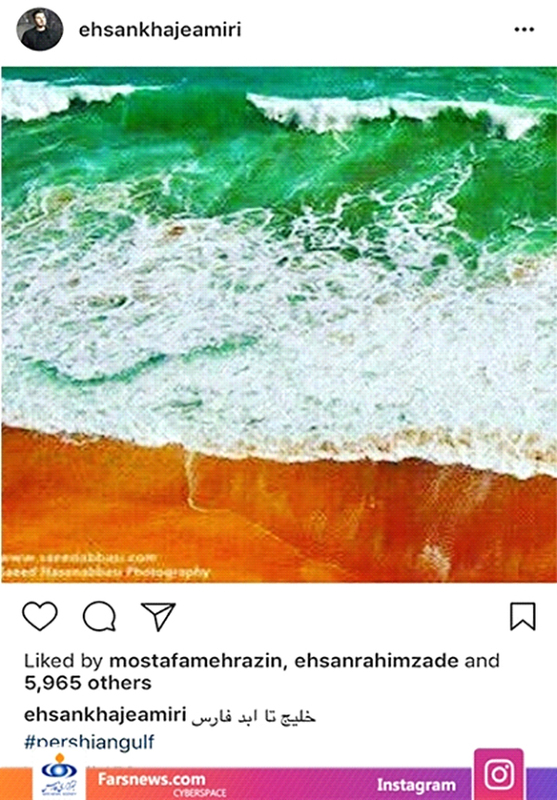 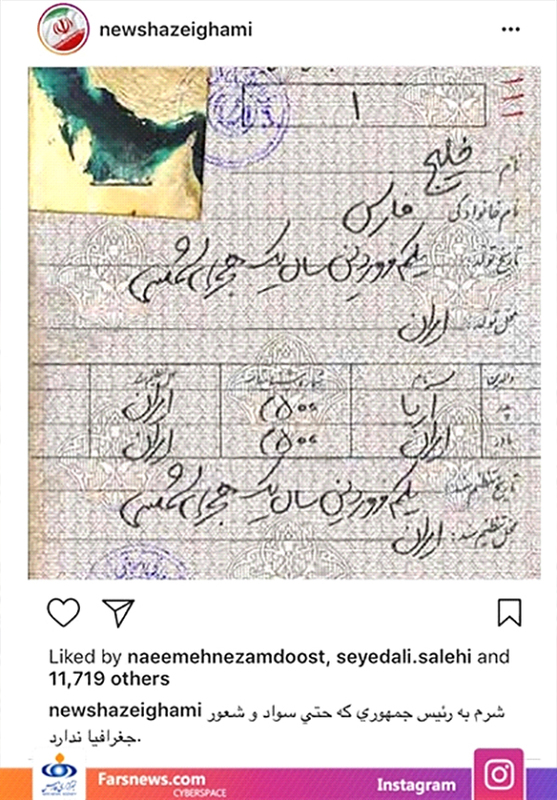 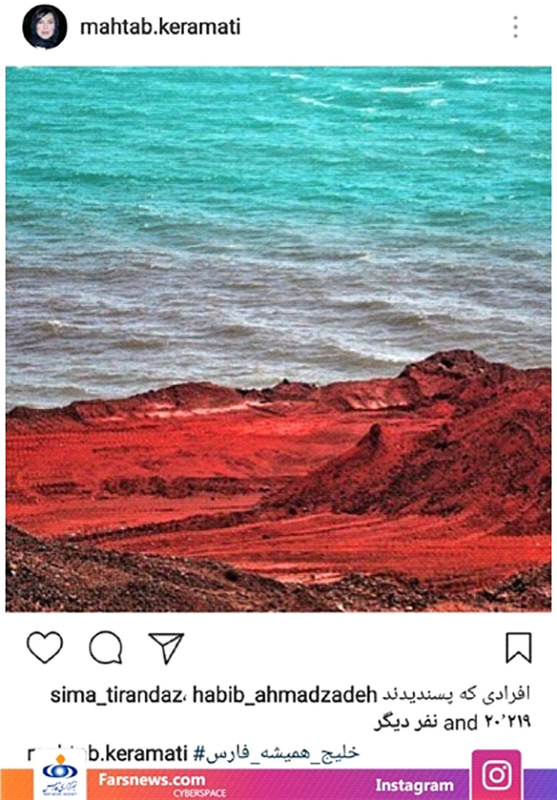 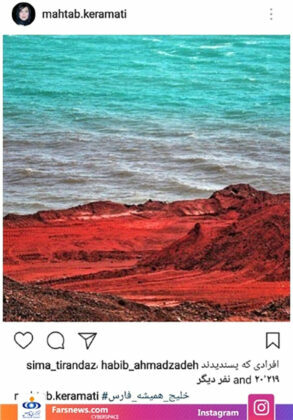 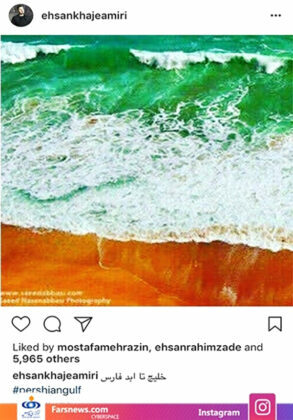 Meanwhile a large number of Iranian artists and sport celebrities reacted in social media to Trump’s statements by publishing photos or maps of Persian Gulf.